Imagine exactly how long a quarter of a second is. It’s not easy to do, it it? Here’s a test – start a stopwatch, wait until a second has elapsed, and then attempt to stop it before another quarter of a second passes. It’s a task to challenge the reflexes of even the quickest among us, and it’s what Cold Iron demands of those who would attempt to beat it. The player’s task? Stare down an opponent. Wait for a bell to ring. The moment the bell rings, raise a gun, aim, and pull the trigger. At the start of Cold Iron players have a full second or more to accomplish this. That window is soon cut down to half a second. Eventually players are asked to manage it within a sadistic .25 second window. It’s as severe a test of reflexes as I’ve ever seen in the world of VR. Best described as a Boss Rush gunslinging experience, Cold Iron pits players against eleven increasingly-strange opponents as they jump from one location to the next. Things begin in a stock Old West town, then moves on to an enchanted forest full of elves and dryads, and then progresses to even stranger locations I can’t mention for fear of spoilers. Played with a single move controller, Cold Iron is deceptively simple. Every match starts with the player aiming their gun down to ‘holster’ it – things are fine so long as it’s pointed around 45 degrees down, so there’s no need to press it to a hip. Then gunslingers wait for a bell before drawing and firing at the enemy in front of them. One of Cold Iron‘s strengths is how quickly things get strange. As much a puzzle game as a simple test of reflexes, after the first three enemies, each subsequent foe has a unique trick to keep players from being sure exactly where they should aim. There’s a sniper who teleports somewhere on the screen and must be spotted before she can be shot. A magician creates copies of himself, forcing the player to identify the real McCoy. Each new enemy is as a mystery to solve, which keeps the game from getting repetitive. The visuals are fairly basic – the locations and some enemies have the look of stock assets, but the developers do a fantastic job of using limited resources to great effect. By telling a story built around a dimension-jumping gunslinger, they get away with conceptual flights of fancy, and they had the guts to play it completely seriously, selling patently absurd situations with a straight face and daring players not to join them for the ride. From a technological standpoint, Cold Iron works almost perfectly. The enemies have relatively generous hitboxes which allows players to get a kill so long as they’re basically aiming in the right direction. The only time I found a hiccup was when the game asked me to aim straight up. The PSVR camera is notoriously weak at tracking Move controllers held above players’ heads, and this was no exception. Fortunately, this only came up in the bonus levels. I also played Cold Iron on the Vive, and found the tracking there to be completely flawless no matter where I was asked to fire. 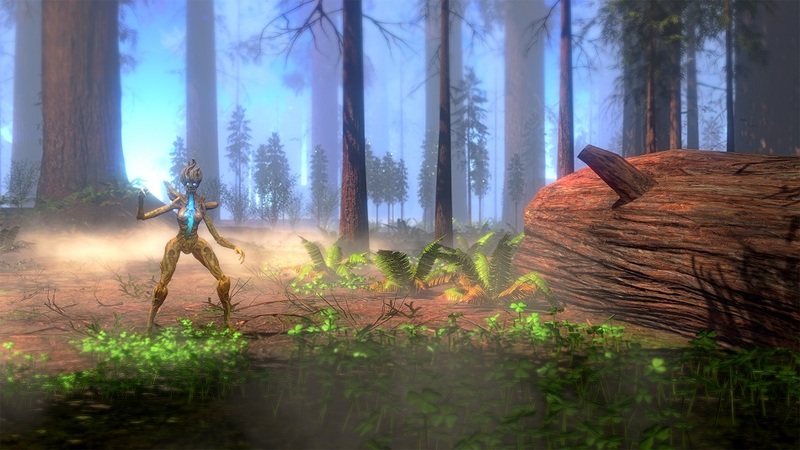 Disclosures: This game is developed and published by Catch and Release. It is currently available on Oculus, Vive, and PSVR. This copy of the game was obtained via publisher and reviewed on both the PSVR and Vive. Approximately 4 hours of play were devoted to the single-player mode, and the game was completed. There are no multiplayer modes. Parents: According to the ESRB, this game is rated T and contains Violence. The game is harmless. There’s some bloodless shooting with a little cosmic horror thrown in, but if kids are old enough to use a VR headset, they’re old enough to play it. 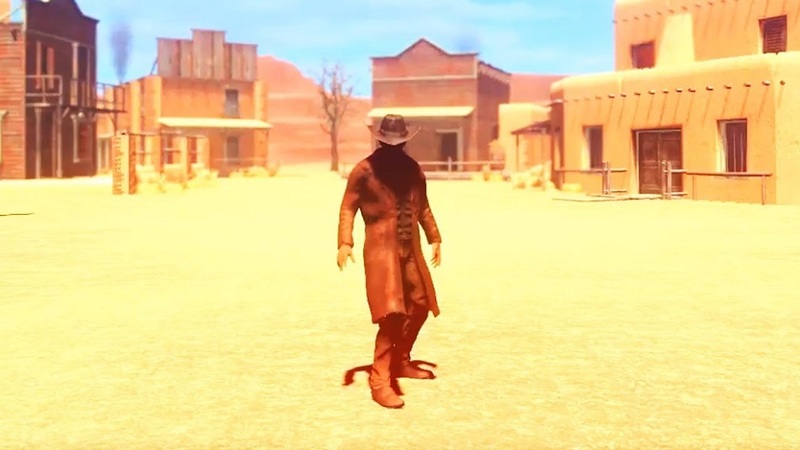 Deaf & Hard of Hearing Gamers: In its current state, the game is unplayable without perfect hearing — players need to be able to hear a bell to know when to draw their pistol, and there’s one enemy that must be shot entirely based on hearing his location. There are currently no accompanying visual cues for either case. Colorblind Modes: There are no colorblind modes available in the options. The game occasionally requires players to make decisions about which foes to shoot based on color recognition, but the developers have assured me that colorblindness was taken into account at the design phase, and the three colors they chose (orange, purple and blue) are the least likely to cause problems.